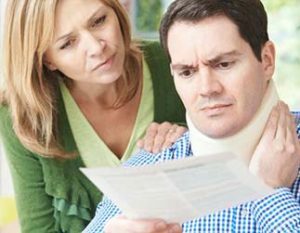 Personal Injury | Weingrad & Weingrad, P.C. 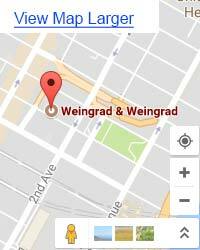 If you’re looking for a New York City personal injury attorney with experience and a proven track record of winning fair settlements, it’s time to call Weingrad & Weingrad LLP. We understand that sometimes, life throws you an unexpected curveball, and you may find yourself injured, sick, or disabled as the result of an accident that wasn’t even your fault. That’s why we’ve been helping people like you for more than 60 years to get the compensation you deserve and may desperately need in order to put the pieces of your life back together after a traumatic accident. Weingrad & Weingrad LLP is a general practice firm that specializes in handling personal injury, liability, medical malpractice, and other types of tort law in state and federal courts. We handle a majority of our cases on a contingency basis, which means that we only ask a fee if you win your case, reducing the risk and financial obligation of filing a personal injury lawsuit. If you and your family are suffering the consequences of someone else’s mistake, there is a proactive solution. Call us today for a free consultation, and if you can’t come to us, we’ll come to you. When you’re ready to speak up and demand the person responsible for your injury be held financial accountable, we’re ready to fight for you every step of the way. Cases involving injuries, illnesses, and long-term medical complications as a result of an accident can often be difficult, because it’s necessary to prove the other party was both negligent and responsible for the accident, and that your medical problems are directly attributable to that accident. Finding a medical professional that has experience in these types of situations is key, as it’s often clear-cut medical evidence that is the deciding factor in winning your case. We help you get examined by the right professionals and investigate every aspect of the situation thoroughly, looking for every piece of evidence that proves you were not at fault, and should be awarded a settlement that compensates you for your medical bills, lost wages, and even pain and suffering. When you need a New York City personal injury attorney with the experience and the education to get you the results you deserve, call the law firm of Weingrad & Weingrad LLP. We’ve helped thousands of people just like you find justice, either in the courtroom, or through successful negotiations leading to a generous settlement. Don’t take chances with lawyers that require up-front payments and may or may not deliver results. Call us today for a consultation, and see why it pays to work with the best!